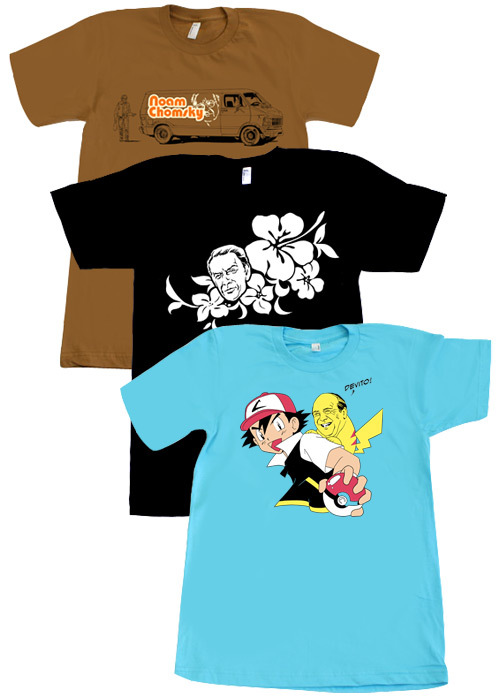 Three new shirt designs are available at TopatoCo.com!! The long-awaited T-shirt rendition of Signifier and Signified comes in “camel” for the gents, “gold” for the ladies! Lennie Briscoe goes Hawaiian! And Devitomon is available for the first time in full, screaming color (and the few monochrome Devitos I have left are marked down to ten bucks)!